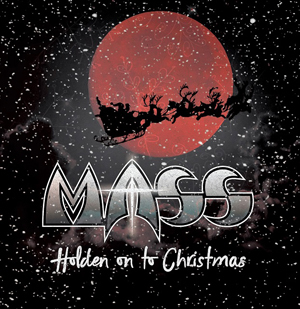 Just in time for the holidays, Boston rockers MASS have released a four track holiday CD with renditions of holiday classics from Grammy nominated writers David Foster, Mariah Carey, and Beale & Boothe. This CD also features the first holiday original song by MASS called “Holden On To Christmas”. The majority of all CD sales go to the Toys For Tots organization. CDs are available exclusively at MASS’ official website. Downloads are available on iTunes and other digital stores.